It’s important to realize there are some major differences between the check market in the U.S. and Europe! In the U.S., every person and company gets or can get personalized checks. Each big company has its own checks with a specific layout. In Europe, that’s not done. Checks are designed by banks and the same layout is used by each person and each company. From Abagnale’s book “The Art of the Steal”, pages 28-29: “Anybody can order anybody’s checks. [...] The whole notion of ordering checks directly from vendors started in an entirely innocent fashion. About fifteen years ago, a woman in Colorado Springs, Colo., named Miriam Loo had a greeting card and gift company called Current, which she started in the basement of her home. She had the idea of selling novelty checks, personal checks with special designs on them. She began with dogs. There were so many dog-crazed people, she figured they’d get a kick out of putting their dog on their checks. Sure enough, orders flowed in for checks with Beagles and Cocker Spaniels. Then she expanded beyond dogs into sailboats, cars, birds, flowers, whatever you wanted. It was a nice little business. Indeed, Deluxe Checks markets such checks with great success. Check out the section “Personal Checks” on their web site to discover puppy checks, floral and garden designs, Walt Disney checks etc. Horses, babies, sports, Martin Luther King, your former university — you name it — figure on these checks. But as this is just wishful thinking, Abagnale approached the problem from another angle. He developed a personal check of his own with the company SafeChecks — the SuperCheck. This check contains 12 safety features; you can order it directly but any order you place gets checked with your financial institution! Second difference in the check market: U.S. companies hand out pay checks to their personnel. In Europe, a wire transfer puts your salary on your bank account, you won’t receive a check in your hand! 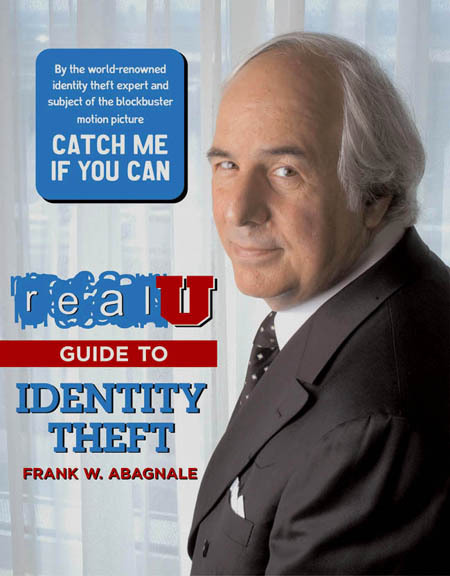 Abagnale has designed a secure ADP payroll check issued 750 million times a year worldwide. ADP is the biggest U.S. external payroll administrator. He uses thermochromatic ink and microprinting on these checks. “ [...] one of my favorite security features on a pay check in your possession [is] the microprinting that reveals my signature so small you’ll need a magnifying glass to read it.” (book “Real U Guide to Identity Theft”, page 10) More about microprinting later! 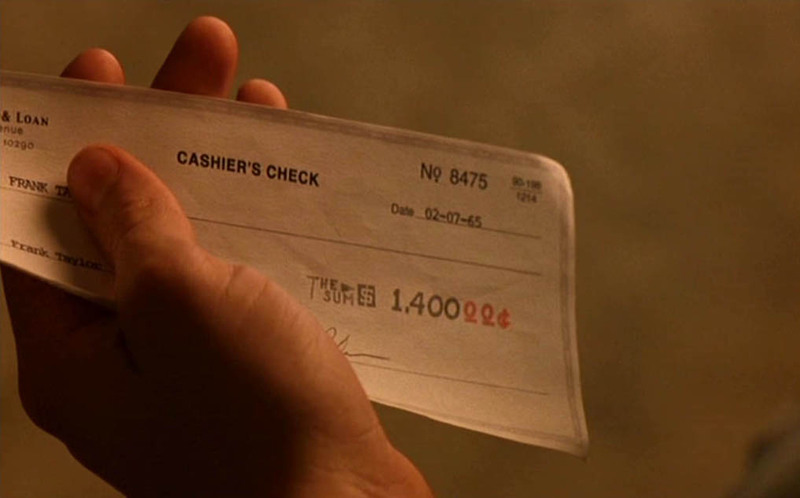 Third difference: the use of cashier’s checks with a fixed amount, for instance a cashier’s check for $500 or $1,000. 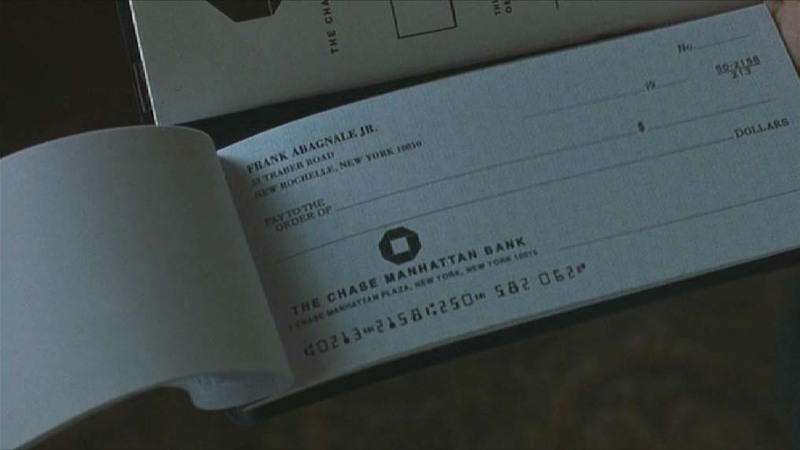 Abagnale uses such a check — needless to say, a fake one — to pay the model-callgirl he meets in the hotel. Cashier’s checks aren’t just signed by a cashier, they’re also guaranteed by the issuing bank! They get drawn on the bank’s own funds and the bank is responsible for paying the amount when the check is presented. Is it any wonder that the streetwise Cheryl Ann is eager to get her hands on such solid paper…? Enough about checks. The scene is now set for check fraud!